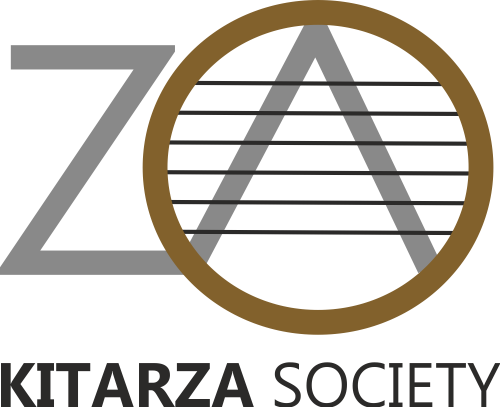 On 9 October 2013, a small number of guitarist and guitar aficionados established the Kitarza Society. The organizational requirements of annual international guitar festival “Guitar Week in Postojna” demanded a competent legal body, which would gather knowledge and experience of voluntary guitar enthusiasts. The Kitarza Society is an independent, voluntary and non-profit organization of musicians that collaborates with cultural societies and organizations with the aim of providing cultural and aesthetic education, raising critical awareness of cultural events and nurturing cultural values in our society. Our main field of work are diverse activities connected with the classical guitar. We want to provide support especially to younger guitarists, who are just starting to tread the path of relentless music markets, helping them find concert opportunities and open the doors of educational institutions home and abroad. Therefore, when organizing cultural events, young artists and their diverse projects are in the first plan. Besides numerous activities pointed out in the statute of the Kitarza Society, our society is the right address for specific technical questions and tips for pupils and students of the classical guitar. We are open, direct and truthful guitarists and guitar teachers always available for well-intentioned people, FOR guitar and FOR catharsis. So, If you are FOR, then you are for “GUITARSIS” (KITARZA) and our membership. Come join us! Purpose: Kitarza - membershipThe membership fee is € 20.00 for a whole year.